Before the game, the South Koreans changed their shirt numbers and played in different positions to put off their opponents' scouts in their warm-up fixtures. Sweden dominated the game and, in the end, gained the three points. Initially, the referee was adamant it wasn't a penalty to Sweden. However, on viewing the decision, he overturned his decision to give Sweden the penalty, which proved to be the right call. Other than a few headers, which failed to test Swedish goalkeeper Robin Olsen, the attacking line fell short of creating big chances with its lacklustre performance. South Korea's offence may struggle in its upcoming matches, especially against teams like Germany and Mexico. In a game that they controlled in possession and chances, Sweden should have been ahead earlier on in the game. Striker Marcus Berg had a couple of chances, which he should have taken. 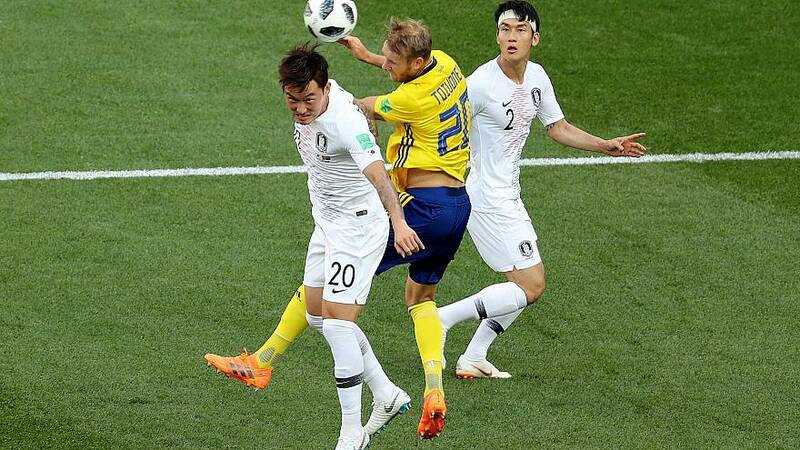 When Sweden were awarded a penalty, captain Andreas Granqvist stepped forward. Centre-backs aren't usual penalty takers, so for Granqvist to take it shows his determination to win. How much World Cup trivia do you know?